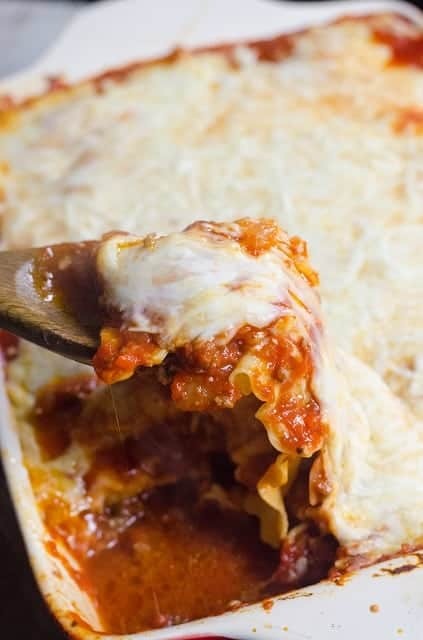 This lasagna is such a cinch to put together. You can have on the dinner table in less than an hour! 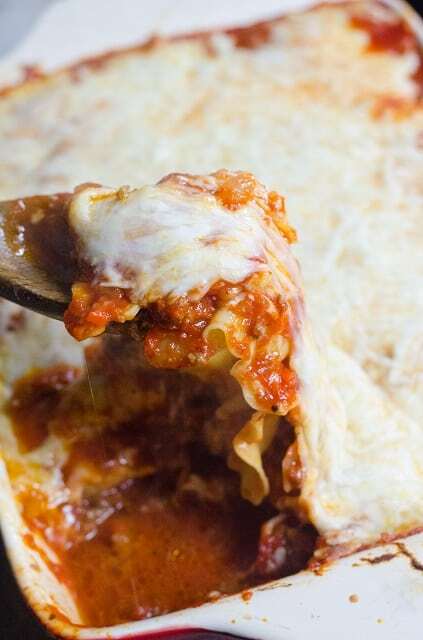 Lasagna really is a labor of love and so comforting and delicious. But sometimes I just don’t have time to spend my day cooking all day. That’s when this easy recipe saves the day! 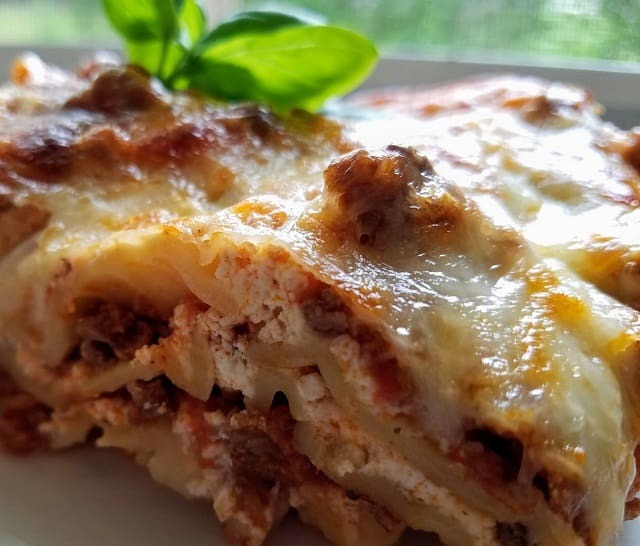 It tastes just like my lasagna recipe with a lot less work. It can be on the dinner table in under one hour! It’s been freezing here and I am just craving comfort food. 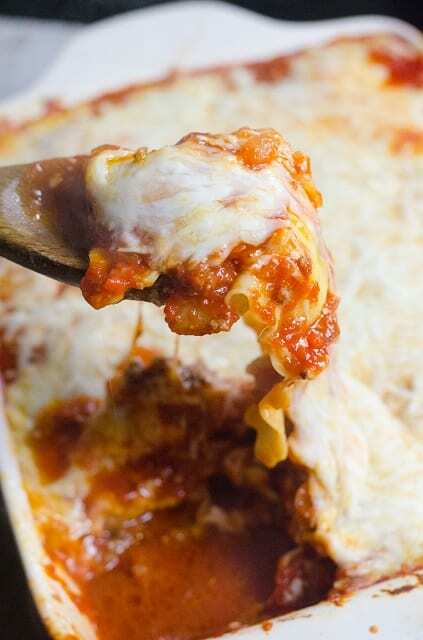 This Easy Lasagna Ravioli is perfect for dinner or for a pot luck. Just serve it with a fresh green salad or my Broccoli Salad and my easy cheesy garlic bread. 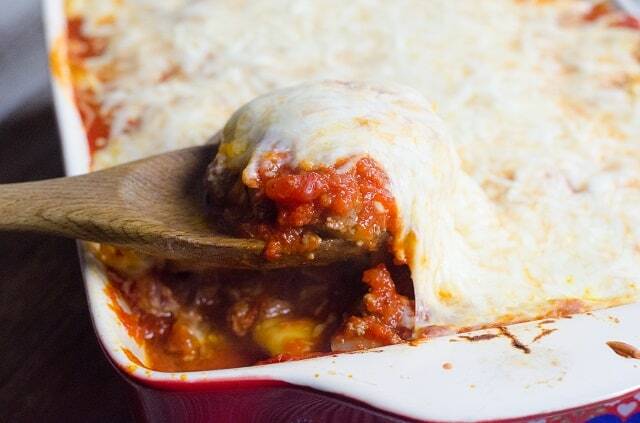 Just look at that thick layer of meat and cheese layer and ooey gooey goodness! 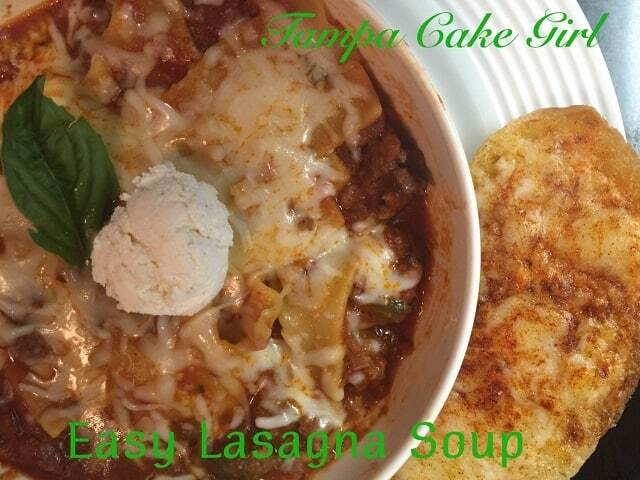 This is serious comfort food, you will feel like you are at your favorite Italian Restaurant! 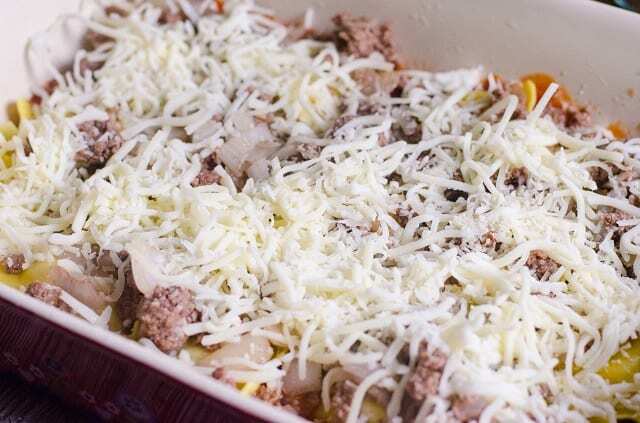 You can always make the casserole ahead of time and then just pop it in the oven. 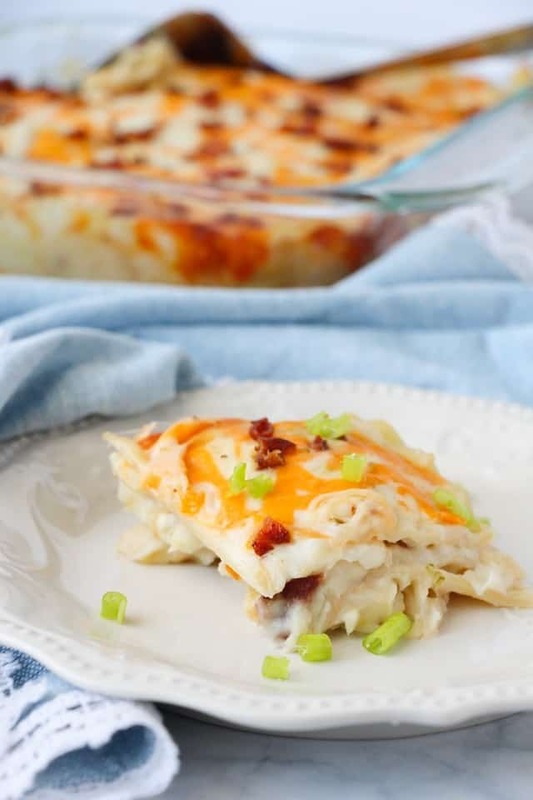 This casserole is perfect if you need to bring a meal to a friend who has just had a baby, or an elderly couple who needs a home cooked meal. It serves 12, and makes great leftovers. 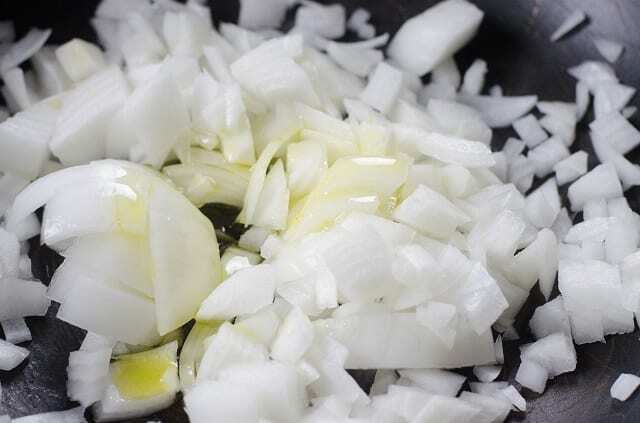 In a skillet, add olive oil and saute beef, garlic, and onions until beef is browned. 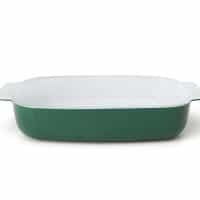 In a baking dish, pour in sauce to cover bottom of the dish. 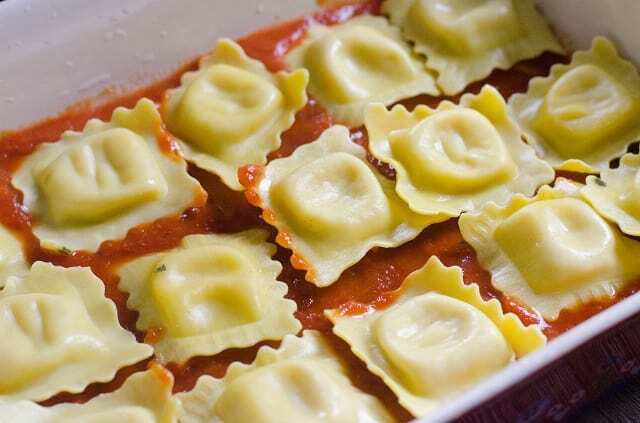 Layer with ravioli then beef. Top with cheese. Repeat with adding sauce, ravioli, beef, then cheese. Cover with foil and bake for 35 minutes. Cover with foil and bake for 35 minutes. 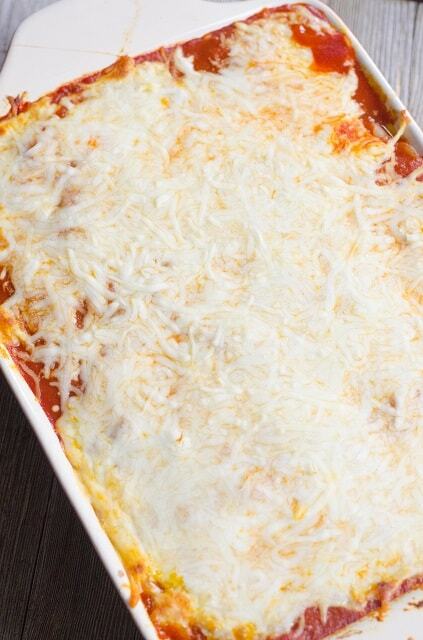 Pin this yummy Lasagna Ravioli recipe to your favorite dinner Pinterest board! Free email subscription here. 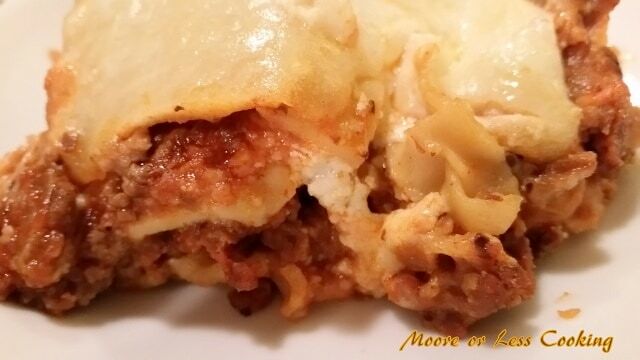 You will find a wide variety of easy yet scrumptious recipes on her very popular website Moore or Less CookingConnect with Moore or Less Cooking! I also created a fun new Facebook group, and I would love for you to join us. 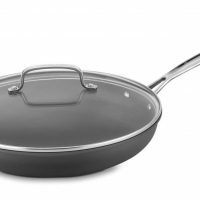 It’s a group where you can share your favorite recipes, ask questions, share photos, and see what’s new with Moore or Less Cooking. I hope that you will join us there. If you would like to check it out, you can request to join HERE. 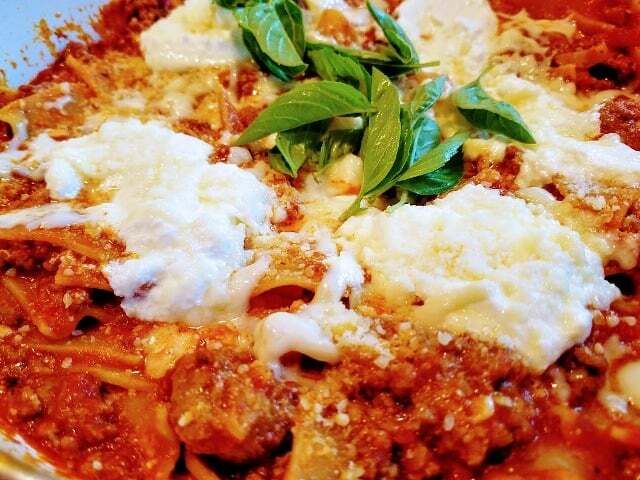 Tastes just like lasagna! 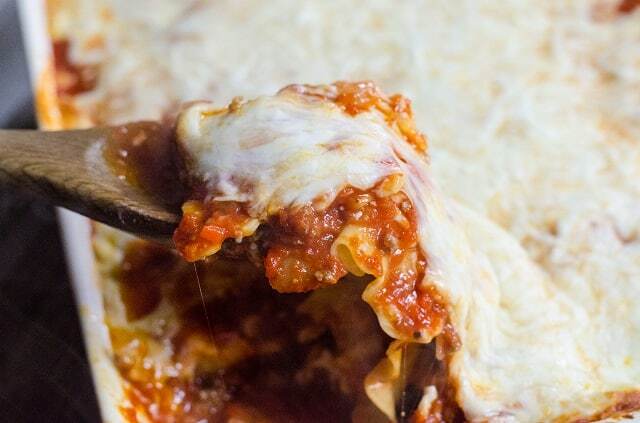 Everyone is amazed at how easy this is to make and how much it tastes just like lasagna! Layer with ravioli then beef. Repeat with adding sauce, ravioli, beef, then cheese. 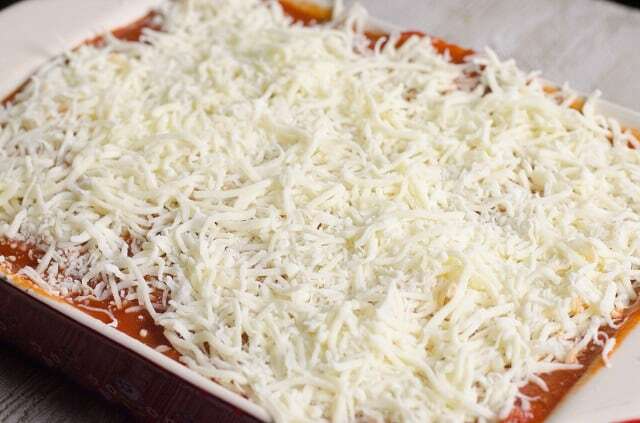 Remove foil and broil for another 3 to 5 minutes adding crispy topping to the cheese.